Want to avoid getting sick this fall with every fiber of your being? I've got your back. 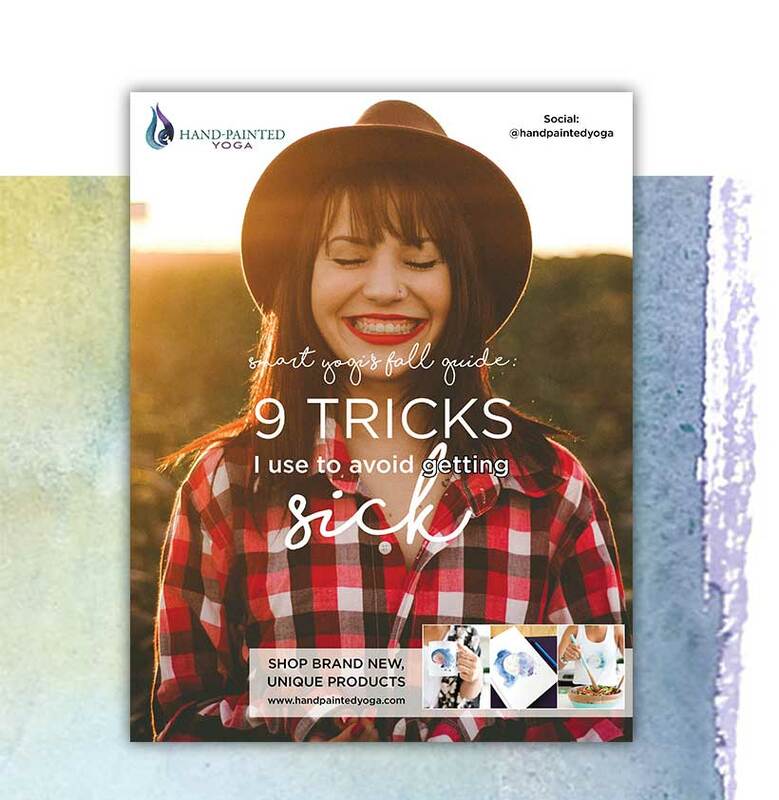 In my Smart Yogi's Fall Guide you will learn tricks I'm sure you've heard of, so you can have your best fall yet! As a Hand-Painted Yoga Insider newsletter subscriber, you will learn monthly tips about how your yoga and mindfulness practice can empower your life. You have successfully joined our subscriber list. I'm so happy to have you as part of the Hand-Painted Yoga Insiders group. Download your Smart Yogi's Fall Guide here. Prepare yourself for more valuable information to grow into your truest self!